Hepatic encephalopathy (HE) is normally diagnosed by neuropsychological (NP) tests. The goals of this study were to quantify cerebral metabolites, separate glutamate (Glu) from glutamine (Gln) in patients with minimal hepatic encephalopathy (MHE) as well as healthy subjects using the prior-knowledge fitting (ProFit) algorithm on data acquired by two-dimensional (2D) localized correlated spectroscopy (L-COSY) on two different MR scanners, and to correlate the metabolite changes with neuropsychological (NP) tests. We studied 14 MHE patients and 18 healthy controls using a GE 1.5 T Signa MR scanner. Another group of 16 MHE patients and 18 healthy controls were studied using a Siemens 1.5 T Avanto MR scanner. The following parameters were used for L-COSY: TR/TE = 2 s/30 ms, 3 × 3 × 3 cm3 voxel size, 96 Δt1 increments with 8 averages per Δt1. Using the ProFit algorithm, we were able to differentiate Gln from Glu on the GE 1.5 T data in the medial frontal white/gray matter. The ratios of myo-inositol (mI), Glu, total choline, scyllo-inositol (sI), phosphoethanolamine (PE), and total N-acetyl aspartate (NAA) showed statistically significant decline in HE patients compared to healthy controls, while the ratio of Gln was significantly increased. Similar trend was seen in the ProFit quantified Siemens 1.5 T data in the frontal and occipito-parietal white/gray regions. Among the NP domain scores, motor function, cognitive speed, executive function and the global scores showed significant differences. Excellent correlations between various NP domains and metabolite ratios were also observed. 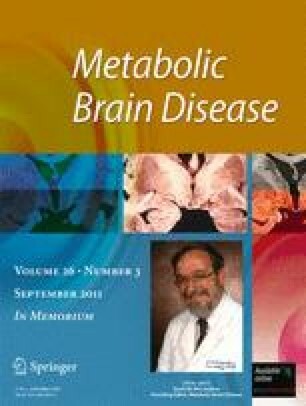 ProFit based cerebral metabolite quantitation enhances the understanding and basis of the current hypothesis of MHE. This research was supported by a National Institute of Mental Health (NIMH) RO1 grant (1R01MH06569501A1). Scientific support of Drs. Nader Binesh, Kenneth Yue, Shida Banakar, and Sherry Liu during the earlier phase of this project is gratefully acknowledged. Authors acknowledge the support of Dr. Rolf Schulte, Prof. Dr. Peter Boesiger and his group members at ETH-Zurich, Switzerland in sharing the earlier version of the ProFit algorithm for processing the localized 2D J-resolved spectrum.